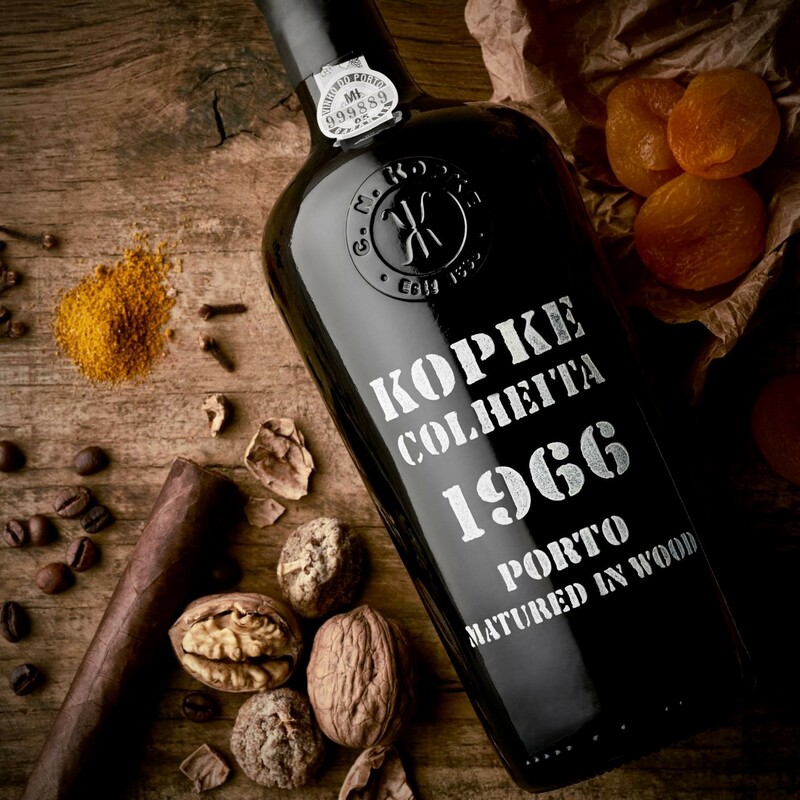 Colheita Port is a single vintage-dated Tawny Port (all grapes are from one harvest) which is aged in wood. In Portuguese, the word Colheita means harvest and can be construed therefore, to mean vintage as well. Colheitas can offer excellent value as they're usually less expensive than similarly aged Vintage Ports. There's even less Colheita bottled than Vintage Port, typically only 1% of all Port produced in any given year. By law, Colheitas should be matured in wooden casks for at least seven years, although in practice they tend to be aged for much longer - sometimes up to 100 years. They are bottled only when the producer decides that the Port is ready to drink. Unlike Vintage Port they will not improve after bottling but will keep for many years. The label should carry both the vintage and the bottling date. Colheita port is mostly exceptional combining all the sweet, dried fruit and nutty finesse of an aged Tawny with individual vintage character. In order to make the category more appealing to consumers, some shippers such as Taylors have replaced `Colheita' with the term `Single Harvest Reserve', with some success. It should be noted that there are also White Colheitas, These have a beautiful flavor profile and extraordinary aromatics and although it is a rare category, they're really worth seeking out. Bottles with T-stoppers such as colheita ports should be stored upright. A Tawny or Colheita Port will drink well once open, far longer than any Vintage Port, Tawnies do not require decanting to remove sediment which makes their pop-n-pour charm quite user-friendly. Additionally, Tawny Port is one of the easiest pairings with a multitude of dessert dishes. Our preference is to serve at room temperature or slightly chilled. The style is lighter than vintage port and so makes an excellent aperitif during summer months.